Ok, without further adieu, I will begin sharing some of my new finds from last weeks shopping trip. When I saw this chair, I fell in love. I was certain it was too expensive, but when I looked at the tag, it had been reduced from $99 to $59. So, I took a picture of it and went home. I decided it would work great in my foyer. I went back, weeks later, hoping that it was still there and it was! I grabbed it up immediately. I think it has a Swedish look to it. 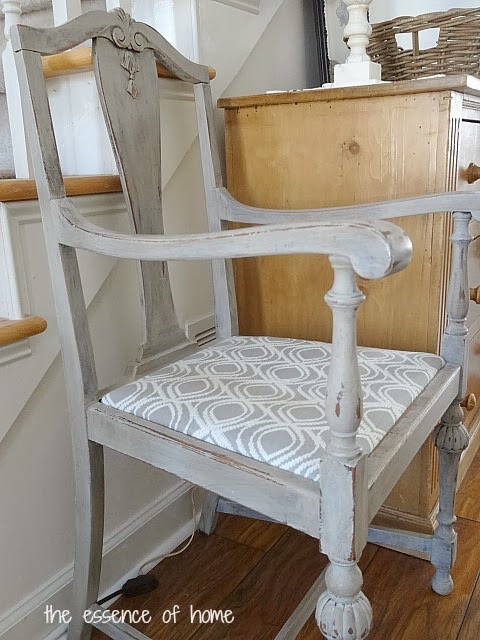 It's the perfect shade of grey with some distressing and a seat covered in pretty grey and white fabric. I didn't need to change a thing! It is, by far, my favorite chair in the house now, although I don't sit in it. LOL! So, of course, I changed a few things on my chest beside the chair. I smile every time I pass it now. Ok, hang in there. 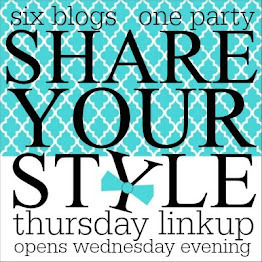 More to share this week! Love the chair and glad it was still there when you went back. Wooo Hooo Kelly patience paid off. So happy it was still there. 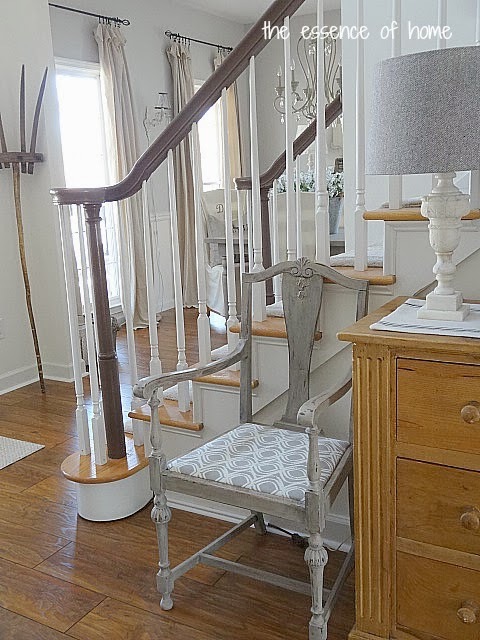 It is perfect and made for your entry way. I bet you smile every time you pass it. It is a perfect fit. That was a great find! It looks wonderful in your home. I always say if it was meant to be.... You were meant to have that luvly chair! That pretty chair was custom made for you, Kelly! I can't believe you thought twice about it, it fits your house perfect. Fantastic fit!! Love that chair. I LOVE your new chair, Kelly! It couldn't be more perfect for your home, and you were so lucky it was still there. Great find! It's perfect in that spot. Looove your new chair! 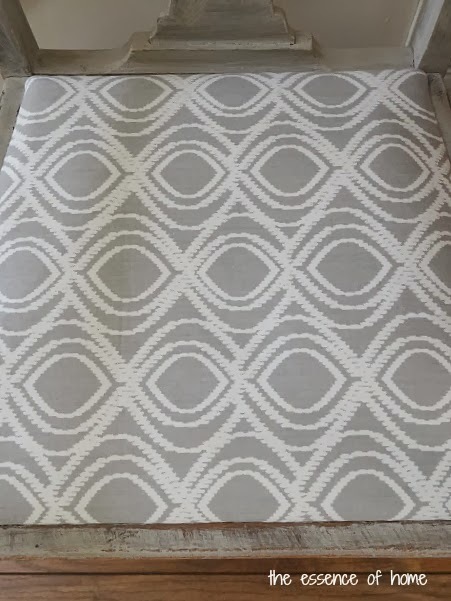 The detail on the legs is so pretty, the color is great and I really like the fabric on the seat! 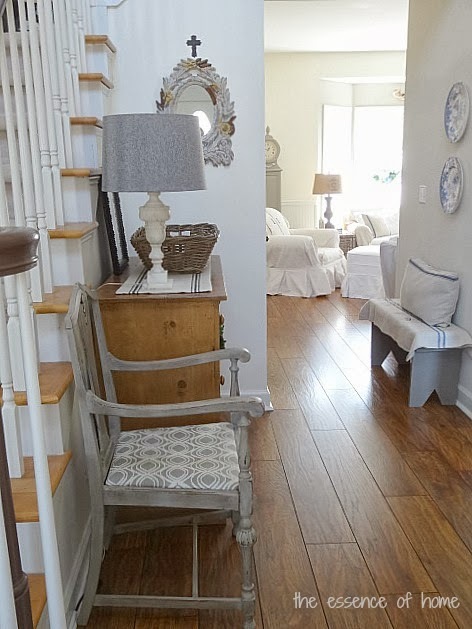 It looks wonderful in your entry! I bet you were so happy when they still had that chair! It's beautiful and goes perfectly in your home. That is a lovely chair and perfectly your colours and style too. It looks beautiful in that spot. I'm sure glad it was still there, too pretty of a chair to let go! Love the chair!! It is perfect for your style. So glad it was still there when you went back. That so neat that it was still there, and a bargain price too. Looks perfect and I would be smiling too. ..I agree your chair fits in well with your decor. Well you sure were lucky the chair was still there! It does look quite perfect there. I like the finish and the fabric. 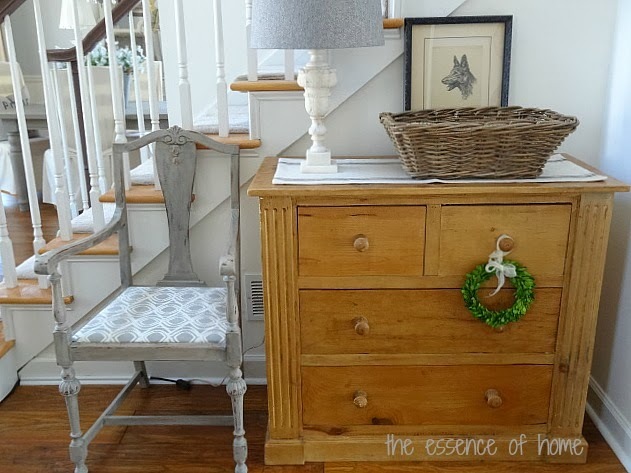 I really like your updates on the chest too- the little boxwood wreath is perfect there! Oh I love that chair too! Glad it was still there :) It's so fun when restyling an area makes you smile when you see it - that means it was a success !! Kelly, great chair, I would've grab it too. Can't wait to see more. That chair is fabulous and I love the chest too. Such a lovely room. What a great chair! I am glad it was still there, Kelly! What an amazing find Kelly,it was meant to be.It looks beautiful in your home! $59??? It looks like it should be WAY more expensive. It was meant to be yours, since it was there when you went back. It looks right at home in your foyer - it would make me smile, too, Kelly!